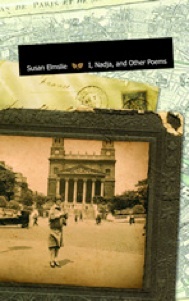 Bio: Susan Elmslie was born in Brampton, Ontario, and now lives in Montreal. Her second book, Museum of Kindness, has just been published by Brick Books and is featured on the “Hot New Releases in Poetry” page on Amazon.ca. Her first trade collection, I, Nadja, and Other Poems (Brick, 2006) won the A.M. Klein Poetry Prize and was shortlisted for the McAuslan First Book Prize. In 2007 it was shortlisted for the Pat Lowther Award and a ReLit Award. Her writing appears in journals, anthologies, and a prize-winning chapbook, When Your Body Takes to Trembling (Cranberry Tree, 1996). 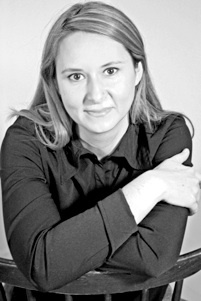 She received a PhD in English (specialization: Canadian literature) from McGill University and an MA in Comparative Canadian literature from Western. She was a Hawthornden Poetry Fellow in 2002. Photo credit: Wes Folkerth Photo credit: René Bolduc. Cover of Museum of Kindness (Brick, 2017). Design by Marijke Friesen. Cover of I, Nadja, and Other Poems (Brick, 2006). Design by Alan Siu. Susan’s photo by Danica Meredith, Aperture Solutions.